Skye Gravestones | John Macpherson. 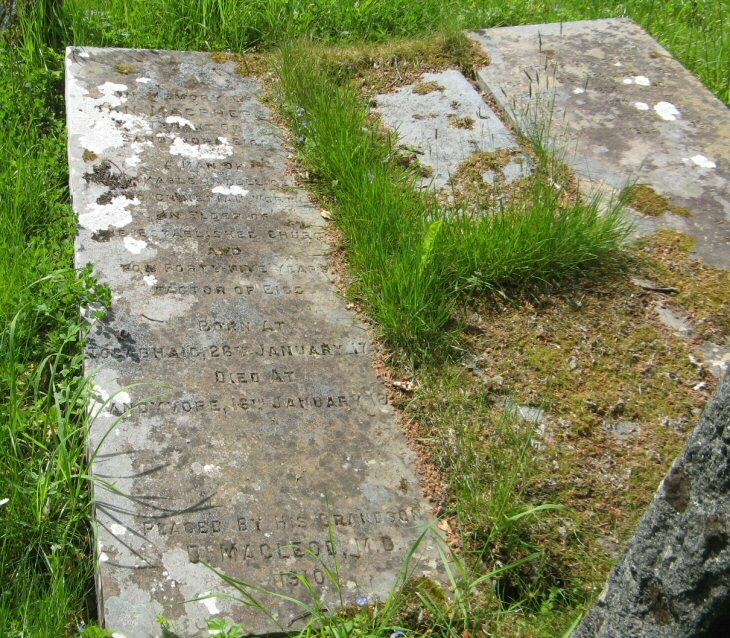 In memory of/JOHN MACPHERSON/tenant of/Sandyvore, Eigg/a man of/remarkable intelligence/and christian worth/an elder of/the established church/and/for forty-five years/factor of Eigg/born at/Togabhaig/28th Januray 1788/died at/Sandyvore 16th January 1876. Placed by his grandson/Dr MACLEOD M.D./1910. and of his sons/HUGH died 1856 aged 17 years/MURDOCH died 1867 aged 40/DONALDS died 1879 aged 53/JOHN diedd 1887 aged 75/DUNCAN died 1906 aged 76.